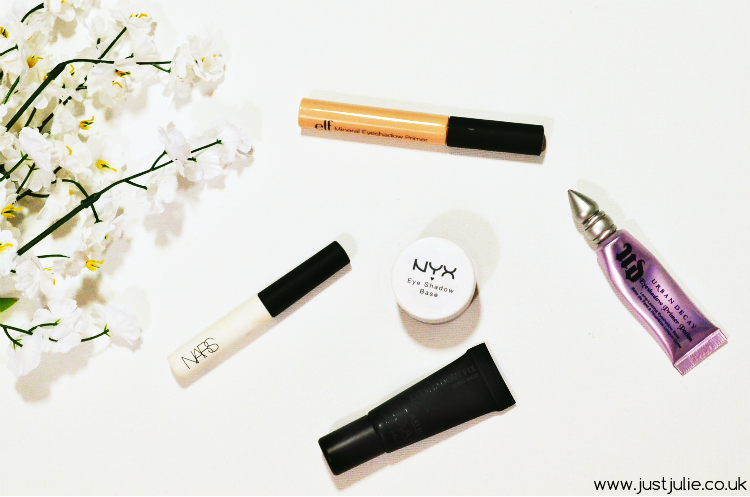 Ah it's been awhile since I've posted a Top Picks, but I'm back with one of my favourite and most important products that I use.... Eyeshadow Primers! I'm an all about eyes kind of girl, even when I'm having a minimal makeup day, there will always been eyeshadow on my eyes, albeit minimal, but it's still there! Nothing annoys me more than when I've spent time and effort creating a nice eyeshadow look for it to then start creasing after a few hours! My makeup is normally on for 10-12 hours so I expect my eyeshadow to last for the whole duration! I also like to use a primer to help intensify the colour that I'm wearing, so for a eye primer to be good, it needs to tick both those boxes. Sadly the majority don't, however I have five gems here that tick every box and more! Zoeva Matte Eye Shadow Fix - £5.95 - The second chepeast and this is my most recent eye primer purchase. Having fallen in love with Zoeva brushes I thought it was high time I purchased some of the makeup line, and I'm pleased to report that this doesn't disappoint! This lasts for 12+ hours and for me it's an exact dupe of the Urban Decay Primer potion at just a fraction of the cost! They also sell a pearl primer too, for those who don't like to use a matte eye primer. NYX Eyeshadow Base - £6.00 - Next on the list is a primer from one of my favourite inexpensive brands and that's NYX. Instead of being in a tube this instead comes in a little pot, some may not like pots as it can be awkward to get the product out, but just use a cotton bud and that solves the problem. Not only does this help keep my eyeshadow in place for over 10 hours it also does any amazing job at concealing the redness that I have on my eyelids. A small amount goes a long way so this will last you a long time. Urban Decay Eyeshadow Primer Potion - £9.00 - £16.00 (depending on size) - This was my holy grail of eyeshadow primers and in some ways it still is, even though I have found cheaper alternatives I can't help but revert to this on my big nights out. I have had eyeshadow on top of this for over 16 hours before and believe me when I say my eyeshadow didn't crease one bit! They sell two sizes but I'd always opt for the smaller and cheaper size as you only need a small amount. NARS Pro Prime Eyeshadow Base - £19.00 A newer find for me. This is the one eyeshadow primer that is totally different to the rest listed here. Instead of a creamy texture and skin tone colour finish this is in fact more of a silicone/gel texture (I can't work out what the texture is) so if you want a primer that will help cover any redness then this isn't the one to go for BUT if you want a primer that can last for over 16 hours, work amazingly well with loose pigments and really make the colour pop then this is the one to go for! The more expensive option out of them all but it truly is amazing! I could never use an eyeshadow without a primer, not only do all five of these hold eyeshadow for a long time, help intensify the pigment, they also allow the eyeshadow to literally just glide over the top! No matter what your budget it is, I hope you can find one you like now.